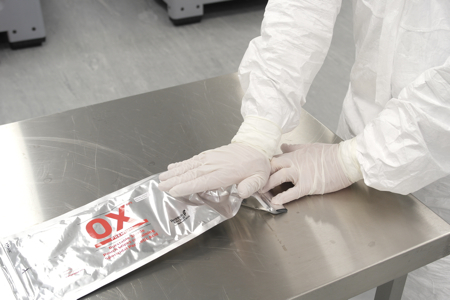 Most cleanroom sporicides are highly reactive oxidising chemicals; this is good if you want to kill spores but not so good if you want the most effective sporicides in convenient pre-impregnated wipe or mop formats. Sporicides kill bacterial and fungal spores, vegetative micro-organisms and viruses. As oxidising agents they react with critical systems within microbial cells bringing about rapid destruction.1 They are an essential weapon in the biocidal armoury of the modern day biopharmaceutical industry, helping to control the typical microflora encountered in cleanrooms. But critically, they destroy spore-formers, such as Bacillus spp. which are notorious for their resistance to heat and chemical destruction. Choosing the right sporicide is a multifactorial conundrum. A balance must be struck between safety, efficacy, speed of kill, corrosion, residue, shelf life and in-use shelf life, not to mention convenience of use and cost. Yet regulators expect to see a robust validation programme demonstrating reasoned selection, challenge of site isolates and in-use efficacy that keeps cleanroom microflora in check and within limits. As a result, convenience has tended to be low on the list of priorities, but now convenience and efficacy can be combined. It is the highly reactive nature of sporicides that make them such efficient assassins. These oxidising agents halt essential biochemical functions, in both prokaryotic and eukaryotic2 cells alike. But the reactive nature of sporicides can also cause problems. Issues such as corrosion of cleanroom equipment and inactivation of the sporicide by process-derived residue are well known. However, there is another area to consider. Redditch Medical recently studied the interaction between sporicides and the fabrics used for the manufacture of cleaning materials. 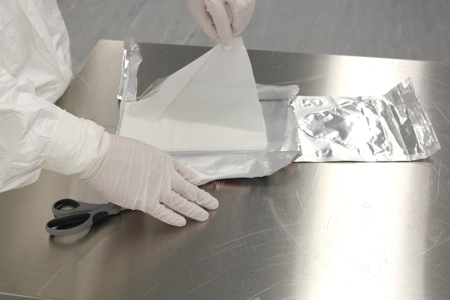 The most common wipes and mops fabrics used in cleanrooms tend to be either 100% polyester or blended cellulose/polyester fabrics while sporicides need to be strong oxidising agents that react readily with organic compounds. This means that frequently the two are not compatible so sporicides cannot be used in a pre-impregnated format. Difficulty stabilising sporicidal wipes could be a reason why the choice for end-users is quite limited. The other side of this complex coin is where the sporicide retains activity in the presence of the wipe. In this situation the potential for the sporicide to attack the wipe exists.3 Over the product’s shelf life, damage may occur to the wipe fabric, increasing the risk of linting. It is clear that trying to optimise a pre-impregnated sporicidal wipe is complex. Often a compromise must be reached to attain a viable shelf life. This may include, selecting a less reactive sporicide; altering the sporicide chemistry to achieve greater stability or choosing chemically-resistant wipe or mop material, but this could be at the expense of efficacy. 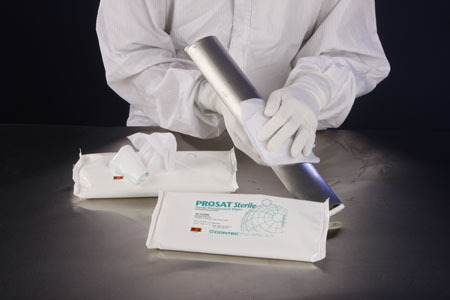 To overcome these issues, the contamination control division at Redditch Medical has recently developed a burstable pouch system which has been introduced into the InSpec range as a wipe or mop system. The sporicide or biocide solutions are separated from the wipes by a frangible layer that preserves the integrity and efficacy of both the physical wipes and the sporicide or biocide solution until the pouch is activated at the point of use. By applying pressure on the burstable pouch, the solution is forced against the frangible seal until the seal gives way and saturates the wipes with a precise volume of liquid. Redditch Medical says the high performance biocides and sporicides available in the InSpec range deliver a solution borne out of hands-on experience. 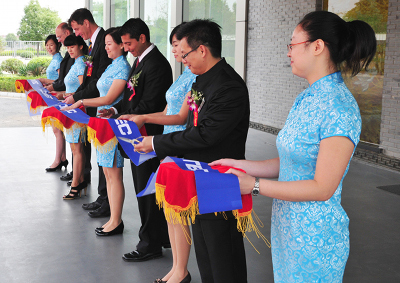 The products are available off-the-shelf and despatched the same day. With modern cleanroom operations, service is as critical as efficacy. 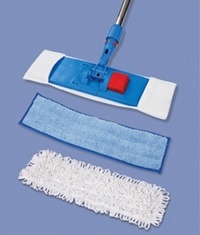 The many advantages of impregnated wipes and mops can now be experienced knowing the sporicide is fully active. All InSpec solutions comply with EU GMP standards and are fully validated by independent bodies in industry and academia. 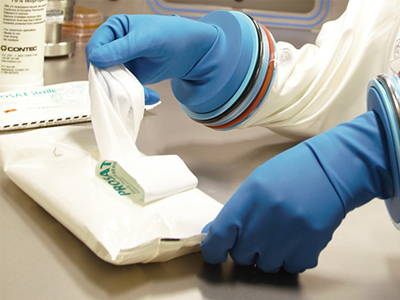 Due to the pouch’s frangible layer separating the wipes and sporicide up until the point of activation, the InSpec sporicide remains effective. A fixed level of sporicide is guaranteed for each wipe, every time. This exact volume of solution improves consistency and reliability between cleans and from operator to operator. No aerosol is involved – improving safety and negating the ‘false alarm’ sometimes experienced when using aerosols and operating continuous particle monitoring. The entire InSpec rotational range – sporicides OX and HA and biocidal disinfectants AN and QT – are available in the new ‘burstable’ format as wipes and mop heads. 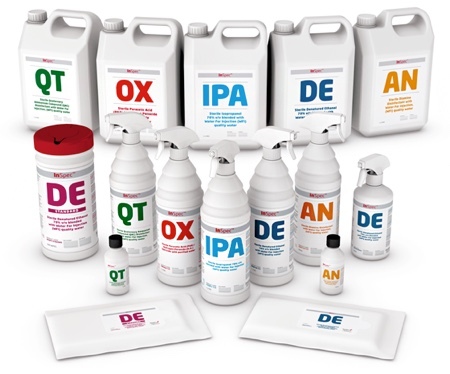 As well as rotational disinfectants and sporicides, the range provides reliable and powerful sterile alcohol cleaning solutions. Products are available in a variety of diluted formats and concentrates. Redditch Medical has complete confidence in the quality and reliability of InSpec, and uses the products in all three of its cleanroom facilities.